Hello my lovelies, and welcome to day two! Today, I am SUPER excited to have the SUPER SWEET author of The Sin Eater's Daughter Trilogy, Melinda Salisbury! Melinda has answered some AWESOME questions for us, and provided me with SIGNED postcards sets to giveaway to all of you! Bizarrely, I’ve just changed my hair colour after ten years! All that time I’ve had it black - in the past it’s been partly blue, green, red, purple and brown. But two weeks ago I went to the hairdresser and had all of the black taken out, and now it’s a kind of auburn colour, which I love. In the sunlight it looks like fire! I think the only colour really left to me is blonde now! I'd love to do some of the pastel colours that are available, but I'm too lazy to keep them looking good. 2. If I say Pretty Damn Amazing Professional Author, what is the first thing that comes to your head? 4. Tell us about your road to publication, and how it was different the second time around? The second time is a little easier, and a little harder. You already know your editor and how to work with them, you know what you’re doing in the world you’ve created, and you’ve set it all up, so that’s nice. It takes some of the stress away. But on the flip side you have a very definite deadline, and a lot of expectation! When I was writing The Sin Eater’s Daughter, I didn’t have an agent, or a publisher. I was just writing for myself, so I could take my time over it. There was no pressure. But with book two, there’s a deadline I have to work to, and missing it could mean huge delays and bother for everyone. And now I have fans who care about my world and I don’t want to let them down. So it’s a mixed bag. Both familiar, and strange. I write in silence! If I write to music, I either stop focussing on my work and listen to it, or I start incorporating part of it in. So I write in silence! I used to have to do my homework in silence too, I think I must be very easily distracted! 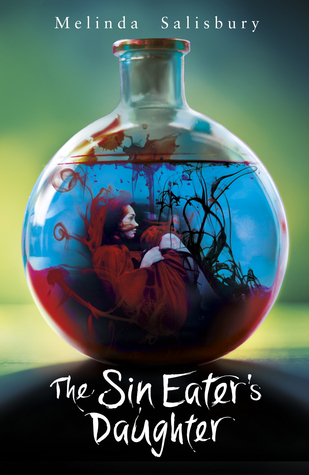 Melinda’s debut novel, THE SIN EATER’S DAUGHTER was the bestselling UK YA debut novel of 2015, and rights have been sold in 13 countries to date. 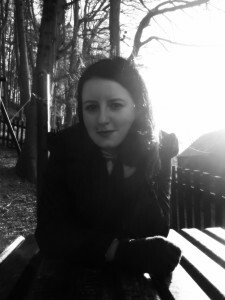 THE SIN EATER’S DAUGHTER has also been nominated for the Carnegie Greenaway Medal 2016, the Branford Boase 2016, The MWA’s Edgars 2016, and shortlisted for the North East Book Awards 2015. In 2016, THE SIN EATER’S DAUGHTER was shortlisted in the teen category for the Waterstones Children’s Book Prize, and it was shortlisted for the Bookseller’s YA Book Prize. Blurb Description: I am the perfect weapon.I kill with a single touch. Win 1 of 4 sets of SIGNED postcards by Melinda Salisbury - One of The Sin Eater's Daughter and one of The Sleeping Prince in each pack!